I just peeked outside on our deck to see a few inches of fluffy, beautiful snow accumulating at a nice clip. An upslope storm is hitting the Front Range right now. That’s why we came home early from Crested Butte – to catch the powder (and just to be home again – I love home). Kaweah, who usually sleeps most of the day, was wide awake watching us vacuum and scrub our place down in Crested Butte this morning. She knows the drill. She knows when we do this, a 5-hour car ride will follow. Kaweah didn’t sleep a wink during the drive home either. I think it makes the poor girl nervous. Once home though, she was pretty waggy and wanted to check everything out. Once we unloaded the car, I finally got her to settle down in her bed. A few minutes later she was curled up and asleep, able to relax at last. There was merely a fresh dusting of snow in our yard when we arrived in Nederland in contrast to the several feet of snow piled up in our yard back in Crested Butte. One thing I noticed this winter is that we nominally enjoy one season in Crested Butte at a time. In Nederland, we straddle two seasons because Boulder sits 3000 feet lower in elevation and usually enjoys springlike conditions while we’re getting second helpings of winter in the mountains. I realize now that I actually like this. It mixes things up a little bit – keeps it exciting. California strawberries have been showing up in Boulder markets lately. I’m not talking about the white, styrofoam, flavorless strawberries of the off season, but the juicy, red, sweet morsels that warrant festivals in celebration of this beloved fruit. So let’s make a shrub! What’s a shrub? Good question. I was not familiar with shrubs until two summers ago when Wendy gave me a jar of homemade rhubarb shrub after a successful morning of foraging. The first time I tasted it, I was startled. It’s sour and sweet… but sour! 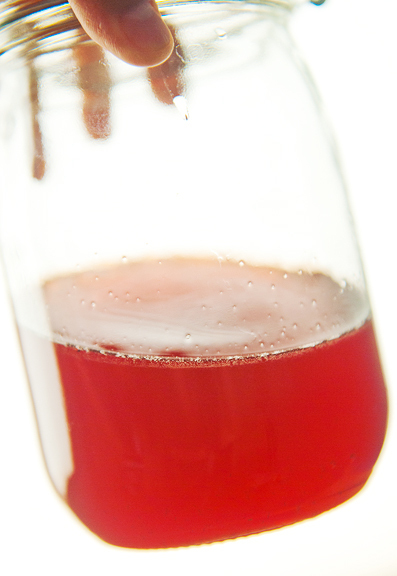 Shrubs are acidulated beverages, in this case it is a sugary fruit syrup made with vinegar. Back in the day, it was a way to preserve fruit well past its season. A shrub is also known as a drinking vinegar. They’re great to sip or to mix into cocktails or soda water and they are SO easy to make! You’re not limited to strawberries. Any berry would work, as would other fruits. 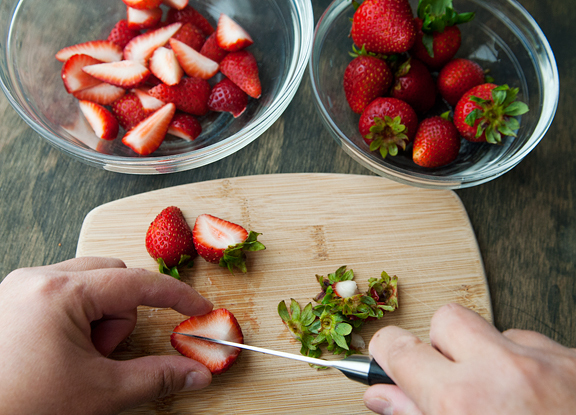 But right now, I’m obsessing just a little about strawberries. 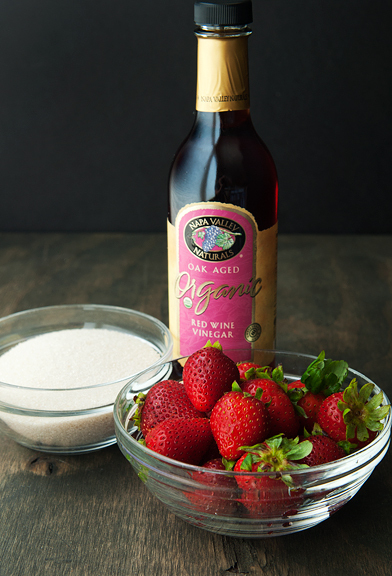 Mix the berries and sugar together and let the fruit macerate in the refrigerator over a period of a few hours to a few days. The instructions state that additional maceration time is fine and won’t diminish the flavor, so I let mine chill for a week as the liquid was drawn from the fruit. The recipe called for red wine or apple cider vinegar and I opted for the red wine vinegar because it’s red and so are strawberries. I don’t know how much difference it makes in flavor to use apple cider vinegar, but it might be worth it to make another batch for “research” purposes. I let my shrub chill in the refrigerator for a week. The sharpness of the vinegar mellows out with time and the acid and sugar come to a nice balance the longer you wait. It really did taste better a few weeks later than it did a few days out. Jeremy was not a fan of the shrub straight up. He warmed up to it in soda water, but he really liked it in a cocktail. Me? I’m rather fond of sipping it straight up. I also find it delightful in beverages and cocktails because it adds a dimension with its tartness that sugar alone cannot accomplish. We’re definitely stocking a few shrubs for entertaining this summer! 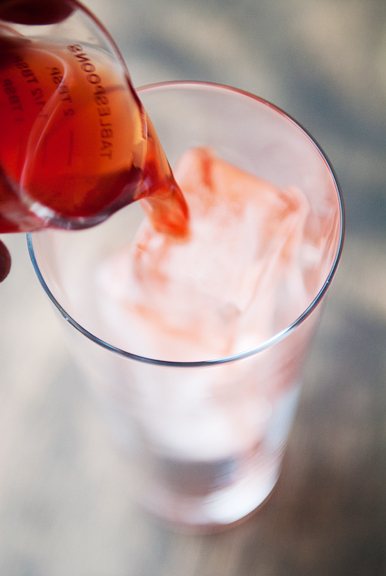 top with seltzer water – refreshing! 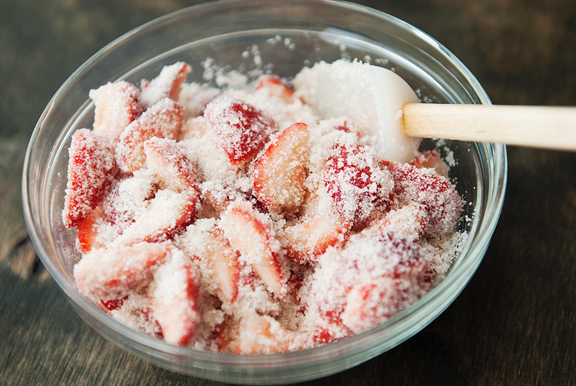 Place the strawberry quarters in a medium bowl with the sugar. 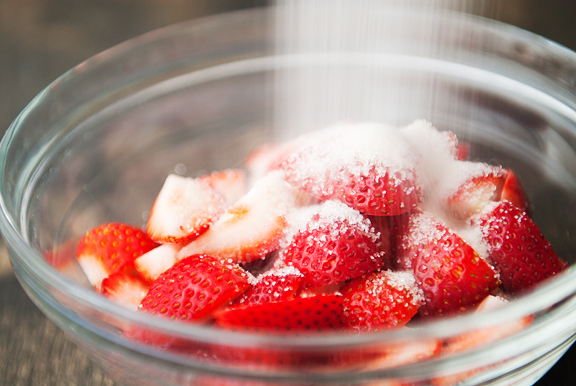 Stir the strawberries and sugar together. 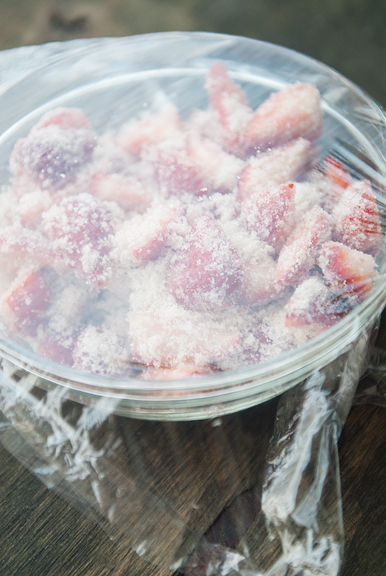 Cover tightly with plastic wrap and refrigerate until juice begins to pull out of the fruit and pool in the bowl. This takes anywhere from 5-6 hours to a couple of days, but leaving the fruit in the refrigerator to macerate for longer is fine. I left mine in for 5 days. 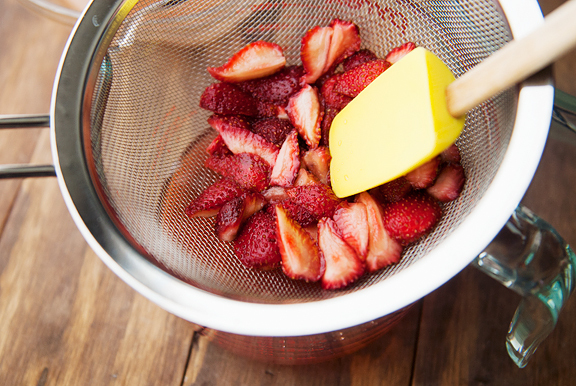 Strain the liquid from the fruit through a fine mesh sieve. 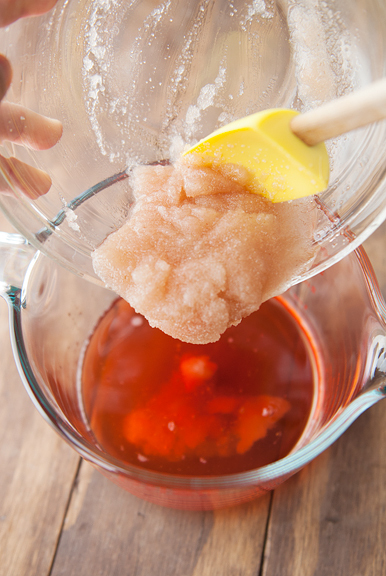 Give it a gentle press from a spoon or spatula to get as much of the liquid out as possible. 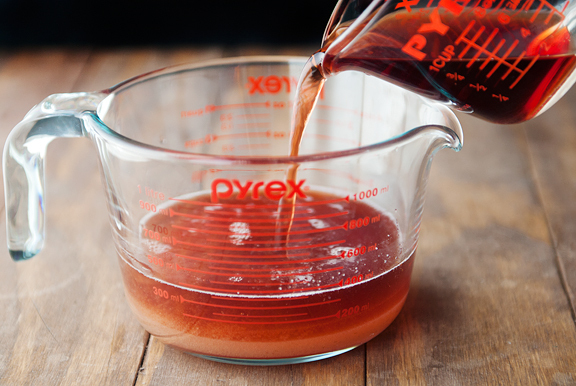 Any excess sugar left in the bowl should be scraped into the syrup. Whisk the vinegar into the syrup. 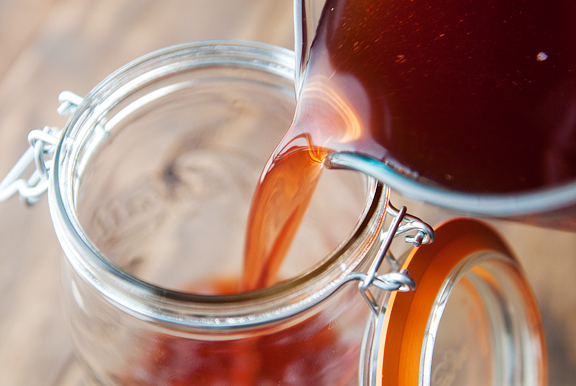 Pour the shrub into a clean jar or bottle. Seal it and give it a good shake. Check on the shrub every few days. If there is undissolved sugar in the bottle, give it another shake to help it dissolve. By a week’s time, the sugar should be completely dissolved. Makes about 2-3 cups. Store up to a year in the refrigerator. Mmmm…looks & sounds delicious! I have a feeling my children would not respect the time required to make it & would drink huge quantities. Definitely going to make this! I’m like Kaweah when we drive in CO. I’m sure my husband would prefer that I sleep, but then I would miss the views, and couldn’t lean towards him which I’m convinced is the only thing keeping us on the road! I think I’d like to have it in the summer time. But we sure can use it now that the cherry blossom is coming on since Monday. This year it started about 8 days later. In the past, by now, they were all gone either b/c of rain or the wind. It’d be fun to sip this drink and watching those other residents in the community driving by our sub-division to view the blossom. How interesting, I’ve never heard of anything like this. My boyfriend (the cocktail master and lover of new flavors) will probably be really interested in it. Going on the summer to-do list! PS: Kaweah looks so sweet! It’s funny, I really love the flavor of vinegar, and often find myself drinking the bottom of the salad bowl. This looks so refreshing and sweet-tart, perfect for spring and summer. Beautiful pictures, too. I love shrubs! Can’t wait to make this. So happy to see lovely Kaweah – thanks for including pics of her with your posts. 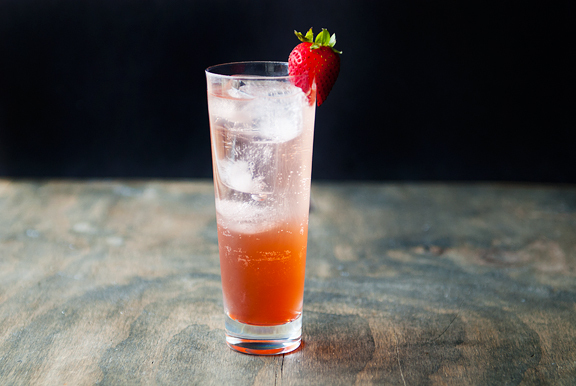 Not into the strawberry shrub so much, even though I LOVE strawberries, but what a gorgeous pic of Kaweah! I LOVE shrubs. I went on a real shrub kick for awhile after making a batch of pickled cranberries, and it was suggested the liquid would do well mixed with selzer. Then I found a website called “Gotta make a shrub”, dedicated to all shrubs all the time (I think it’s now defunct, because the guy who ran it wanted to sell his shrubs commercially). 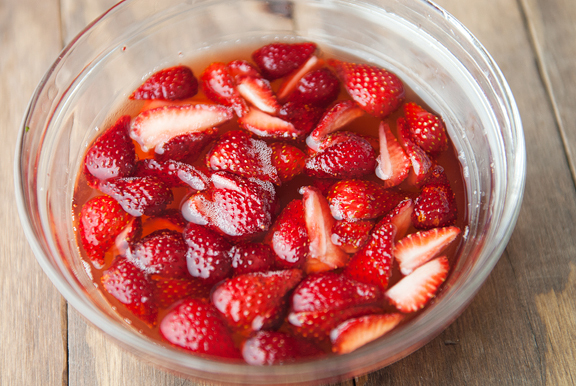 So I’ve made peach shrub, raspberry, and now I have a recipe for strawberry! Thanks, it looks great. And what a beautiful picture of Kaweah! Any thoughts as to what to do with the leftover strawberries? Are they still good for cooking / baking after a week? Wow! That looks great and easy to make….cheers to you and the furry kiddo! Love that you posted this! I had no idea what a shrub was until you said “drinking vinegar” and I immediately thought of Pok Pok. They make their own drinking vinegars and after trying them in a cocktail or two at the restaurant, we had to buy a bottle for home drinking! I love it with seltzer, or just gin or vodka :) This is such a fun DIY! Always great inspiration here Jen (and always adorable photos of Kaweah!). 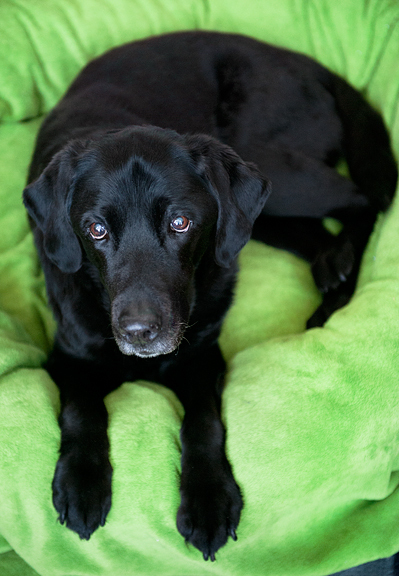 Your furry girl looks all comfortable and cute. I thought purple or red were her color, but she can obviously do green too! Yum yum on the berries too! I just started this with some raspberries that were a little too soft for eating out of hand. I think it will make a lovely cocktail with a nice herbally gin in a few weeks. Thanks! I LOVE shrubs and am so excited to explore them! I think there are endless possibilities and I wonder about adding herbs in with the fruit and sugar as they macerate? Cheers to Kaweah-I cannot read about her without crying!! Allie – it’s nice with some liquor and bitters and sparkly water! Carol – Mmmmm, I definitely want to make some other shrubs this summer! Andrea – well, I think they’re fairly lacking in flavor after the infusion, although the recipe on The Kitchn says you can top ice cream with them? Rocky Mountain Woman – yes!! Annie – Sounds like a great idea. There’s so much flexibility that I’m sure you can try all manner of things to add. Awww, don’t cry (okay, crying is okay) – Kaweah is still here with us for now! I’ve been hiding in the bushes…I’ve never encountered a shrub. Things are looking up, I’m about to pluck my way to the grocers. Strawberries are beginning to look better each week. Kisses to Miss K…that girl is naturally photogenic. Will this work using Splenda instead of sugar? Connie – Sorry, I couldn’t tell you from experience as I don’t use fake sweeteners. What was the consistency of the shrub? I’ve recently made a large batch and I thought it would be much thicker. Thomas – it’s a liquid and not especially thick.